How aware are you of gender stereotypical roles and attributes in children’s literature, and their influence on our young readers? An interesting topic, raised here by Robyn Osborne, and how she perceptively navigates this through her own writing. Thanks, Robyn! It wasn’t until I became a parent, then later a teacher that I was conscious of how deeply ingrained the belief of biological determinism – that girls and boys are ‘naturally’ different – is in our society. Bringing up a son, I was constantly bombarded with comments about what he would and wouldn’t like, or how he was going to behave. My son was actually a quiet, caring and thoughtful child. Likewise he had friends, both boys and girls, who were quite the opposite, and many who were somewhere in between. That a child is born with inherent characteristics, simply by virtue of their gender never sat comfortably with me. As a writer I am fascinated by the influence children’s literature has on the construction of gender. Fairy tales are examples of stories that reinforce the socially acceptable behaviour of males and females. Men are universally heroic, brave and active, whereas the women are the antithesis of this; passive, weak and inferior. Often the emphasis is on physical appearance, with female characters being either beautiful young princesses or wizened, evil crones. Likewise, early readers regularly portray very traditional gender divisions. As these books are the first ones children read while mastering the complexities of language, their impact is quite significant. It is important for adults to help young readers deconstruct these stories, and to examine the narrow characterisations of the protagonists. 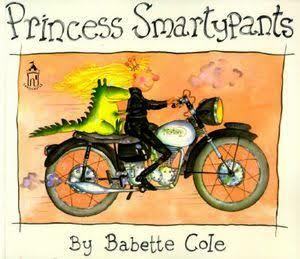 While there is a long way to go before children’s books are free from gender bias, it is heartening to see the growth of alternative stories, such as The Paperbag Princess, How the Library (Not the Prince) Saved Rapunzel and Babette Cole’s wonderful books exploring role reversals; Princess Smartypants and Prince Cinders. Reflecting on my own published children’s books, I hope my characters are unique individuals, with their own quirky personalities, rather than fitting stereotypical gender ‘norms’. David Owen Godfrey, the young protagonist in my junior novel (D.O.G.) is thoughtful and empathetic. 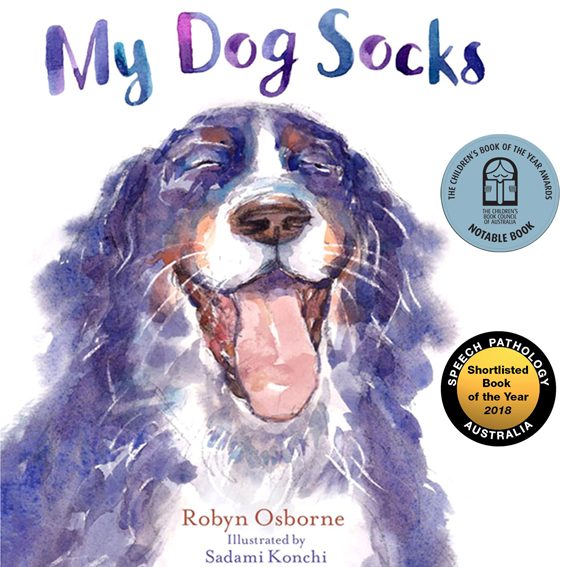 The boy who narrates My Dog Socks is highly imaginative and creative, yet also loving and vulnerable. Picture books Going Fishing and Going Camping look at the fun and chaos of family life. The characters in the two stories exhibit a wide range of universal human emotions, rather than limited male and female gender ‘traits’. 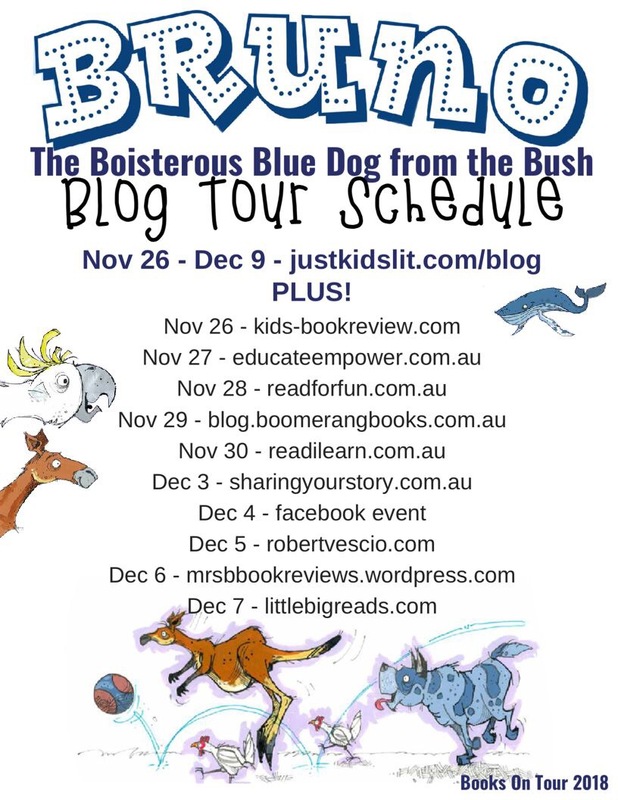 Bruno the Boisterous Blue Dog from the Bush has two main characters, both male. While Bob the Bushie is in many ways the quintessential Aussie bloke, he is also kind, caring and gentle. Children’s literature should celebrate the diversity within our society, not so much what it means to be female or male, but what it means to be human, individual and unique. See more of Robyn’s intelligent and wise words at Share Your Story with Michelle Worthington. Really enjoyed this post and to read about Robyn’s great characters.